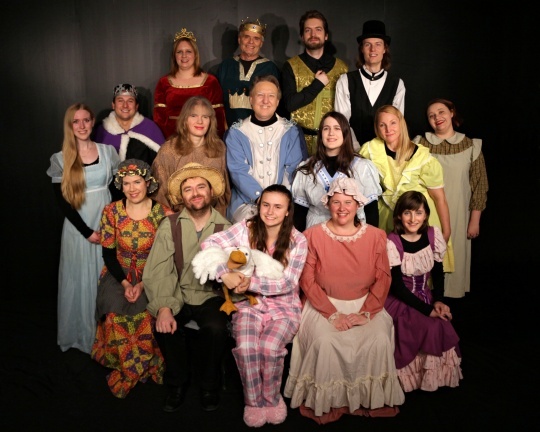 Merlyn Productions is a live theatre company that carries a legacy of classic children's theatre in Manitoba, and also operates the Winnipeg Theatre School. Dedicated to creating “the magic of live theatre for all ages”, the company presents a season of plays for general & family audiences, while the school offers performance-oriented acting classes for children, teens, and adults. Merlyn Productions was founded by Artistic Director John Chase, who began producing local theatre in 1997. The company recently celebrated ten seasons of staging plays from its Albert Street studios (since 2008)! The Winnipeg Theatre School became part of the organisation in 2011. With the motto that “some companies use professionals — we create them”, its 35-year-old brand came from Fantasy Theatre for Children and The Theatre School, to continue in FTC's tradition of quality training for all ages. Merlyn Productions has a volunteer cast and staff that dedicate time for the love of their art form, and are committed to fostering live theatre in Winnipeg. We welcome performers of many ages and skill levels from the greater community, who wish to exercise their talents or develop their skills in a professional setting. To become involved – whether as an actor, a crew member, or just someone with a few hours to hang posters in your area – by all means contact us, and we will be pleased to add you to our files. We also recommend subscribing to our E-Mailing List to receive news of upcoming shows, classes, and auditions! Autumn acting class registrations for ages 10 to 55 will open in June! 1,574,808 pages viewed since January 4, 2009.